With the ensuing brouhaha over the alleged assassination plot by the Iranian government to kill the Saudi ambassador in Washington, the spectrum of views—from skeptics with their outright rejection of the plot as yet another pretext for military confrontation to those who firmly believe that the plot can be traced to the top echelons of Iran’s power structure—have simply muddled the geopolitical significance of this event. This piece does not intend to make yet another attempt at proving or disproving the allegations levelled against the Iranian leadership; rather it’s looking at the allegations from a different angle with a focus on the not so new Saudi-Iranian rivalry in the region.What happens in Washington from this point on, irrespective of the veracity of the connection between Iran and the foiled plot, will chiefly escalate the already existing tensions between Iran and Saudi Arabia at a time the two regional rivals jockey to influence the geopolitical direction of countries in the region that are slowly emerging out of their decades old rotten political structures as a result of the Arab Spring. 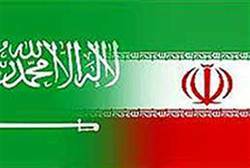 The Saudi-Iranian rivalry has not been confined to Iran’s post-revolutionary era. It dates back to the days of the Shah, who projected power as the preeminent force in the Persian Gulf region and as a reliable Western ally that at times acted against the interests of the Arab states, chief among them his rejection to join the Arab oil embargo of 1973-74. However, in post-revolutionary Iran this rivalry took an increasingly ideological tone mainly along the Sunni-Shiite lines with every turn in the rivalry directly impacting the U.S. interests in the region. The Arab Spring, with its proven ability to bring about radical change, is the ultimate bulldozer that needs to be contained and its impact controlled by regional powers such as Iran, Saudi Arabia, and Turkey.For the House of Saud and Tehran’s theocracy—two power structures built upon religious radicalism—the stakes in the new, evolving Middle East are enormously and vitally high as the two remain virtually untouched, however with great unease, by the waves of anti-government and pro-democracy forces being unleashed in their region. The Saudi and Iranian leaderships see an opening to align the direction of events in the Middle East with their own strategic interests. This need for alignment is urgent as newly liberated states such as Tunisia, Egypt, and Libya prepare for historic elections and formation of new power structures and formulation of new energy policies. And with Syria clearly on the path to a bloody civil war that would most likely culminate in the collapse of Assad’s regime, the stakes for Tehran and Riyadh become even more crucial. Enter an emerging Middle Eastern giant: Turkey. Compounding Iranian and Saudi efforts for leadership position is Turkey’s geopolitical ascendancy. Turkish leadership has demonstrated remarkable ability to become an economic powerhouse vis-à-vis the execution of a grand new foreign policy doctrine built upon harmonizing the country’s power axes in a new geo-politic and geo-energy environment in the Middle East and perhaps beyond. Turkey is also the beneficiary of a nine-decade old democracy with strong civil institutions comparable only to those of Israel. But how is Turkey’s rise felt in Riydth and Tehran? Though it’s the subject of a different piece, put briefly, Turkey’s religious affiliation (Sunni) with the Suadi’s, its continued investments in the Saudi economy, and Ankara’s increasingly hardline position vis-à-vis Bashar Assad have made Turkish leadership a fairly reliable rising power for the Saudis to deal with. The Saudis have been watching with great unease the potential that the Arab Spring still holds for them. The country has spent millions of dollars to impact the shape of emerging new governments in Tunisia, Egypt, and Libya and continues its efforts to further destabilize the Assad regime in Syria. Should the Arab Spring arrive in the streets of Jeddah and Riyadh, the Saudi leadership is certain that Tehran will do its utmost effort to impact developments in the country to Tehran’s liking with a particularly favourable treatment of the large Saudi Shiite minorities in the eastern part of the country. In the face of the assassination allegations the Obama administration is certain to find itself under pressure to make Iran pay for its alleged role in the assassination plot. A key measure under discussion to put Iran under tangible pressure is sanctioning of Iran’s Central Bank, a measure that could essentially choke Iran’s financial institution, which, if put into effect, could prompt a radical response on the part of Iranian leadership and thus pit the U.S. and Iran against each other. It appears that for policy makers in Washington the following question is becoming more important by the day: whether or not what happens in Washington should stay in Washington?